Yaakovo and Esperanza love Hashem and want to show it by offering Him fresh, delicious challos every week. Join them, together with Rachamim the shamash and the holy Arizal, in this enchanting tale of trust and kindness. This heartwarming story reveals the importance of even the simplest Jew, and his potential for performing great mitzvos. Please note: Non-kosher animals in this book (cover page and one page inside), can be covered with stickers. Biographical Stories Based On The Essay, "Fathers Of Chassidus" Translated from the Chasidic journal Hatamim, this book features biographical sketches of the founders of the Chasidic movement written by the sixth Lubavitcher Rebbe. 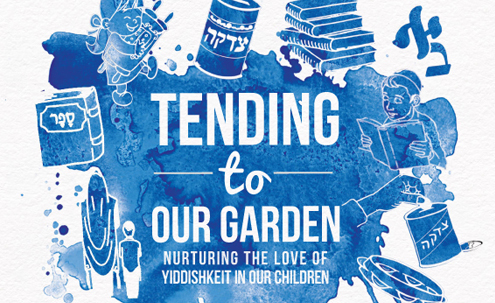 BEAUTIFUL board book for small children-- expresses love and enthusiasm for Torah. The Torah goes IN and OUT of the Aron Hakodesh There are BIG Torahs for the grownups and SMALL ones for kids We lift the Torah UP, then gently put it DOWN. Letters, BLACK; Parchment, WHITE OPEN wide, CLOSED up tight! The story starts one Friday night when Tova Leiba’s brother is unhappy with his seat. Tova Leiba agrees to change places with him, as she is confident that she can be happy there. And, thanks to her positive attitude, she does discover a hidden benefit to her new position at the table. “Tov lev, simcha tomid” To a good hearted person, life’s a constant celebration.